Kenneth Bruce Gorelick (born June 5, 1956 in Seattle, WA), better known by his stage name Kenny G, is a Grammy winning American saxophonist. His fourth album, Duotones, brought him breakthrough success in 1986. Kenny G's main instrument is the soprano saxophone, but he also on occasion plays alto and tenor saxophone. He started playing the saxophone when he was 10 years old, in 1966. Kenny G has long been the musician many jazz listeners love to hate. Kenny G has long been the musician many jazz listeners love to hate. 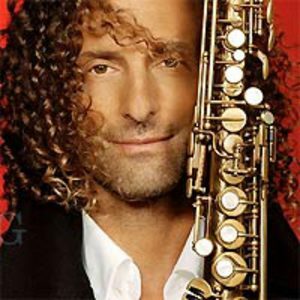 A phenomenally successful instrumentalist whose recordings make the pop charts, Kenny G's sound has been a staple on adult contemporary jazz and smooth jazz radio stations since the mid-'80s, making him a household name. Kenny G is a fine player with an attractive sound (influenced a bit by Grover Washington, Jr.) who often caresses melodies, putting a lot of emotion into his solos. Because he does not improvise much (sticking mostly to predictable melody statements), his music largely falls outside of jazz. However, because he is listed at the top of "contemporary jazz" charts and is identified with jazz in the minds of the mass public, he is classified as a jazz artist.